It was an age of deceit. Aizen Sosuke, Ichimaru Gin, and Kaname Tosen had betrayed the Soul Society, starting one in a string of events which would soon turn into an all out war between the Soul Society and Hueco Mundo. As time passed, many shinigami and arrancar fall, and the battles are becoming more and more serious. The shinigami, greater in number, were winning. Then it all changed. Aizen himself attacked Karakura Town along with Gin, Tosen, and the top three arrancar. Though Soul Society is able to substitute the town for a fake one, Aizen only states that he will have to travel to Soul Society to destroy the real town after he and his forces defeat the remaining captains. As the battles progress, Tosen Kaname, Yammy Riyalgo, Coyote Starrk, Baraggan Luisenbarn, and Tia Harribel are killed, but the main fight is yet to come. Soon, the 13 Gotei, minus Byakuya, Kenpachi, and Mayuri, arrive to fight Aizen, thus begins a long, bloody battle that will determine the fate of Karakura town and the Soul Society once and for all. But even the captain aren't strong enough, and are defeated one by one. All looks lost for the Soul Society, until Ichigo Kurosaki, turns up, Isshin Kurosaki, Yoruichi Shihōin, and Kisuke Urahara following shortly after. 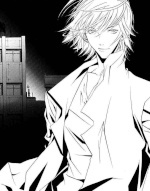 Overly confident, Aizen overestimates his abilities and toys with his opponents first, talking instead of fighting. After a while, Ichigo deals the final blow, killing Aizen. Gin Ichimaru, who was watching the fight, had disappeared and hasn't been seen since. Now, a year later, the shinigami have finally finished replenishing their ranks, and have gone back to their normal duties. No other threats, besides the common hollow, have arisen, and the Soul Society has finally dropped its guard. 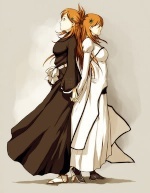 But little do they know, though Aizen's dead, it doesn't mean the battles have ceased. Back in Hueco Mundo, Grimmjow Jeagerjaques has taken over, building his own army. Many arrancar do not like this, and are talking of separating, but for now they follow him until they can form a plan. What Grimmjow plans to do is still in the dark, but it may have dire consequences for the Soul Society. Will there be another war between the Soul Society and Hueco Mundo? Will the Shinigami be ready for the new threat? Will Grimmjow succeed in leading Hueco Mundo? What happened to Gin Ichimaru?